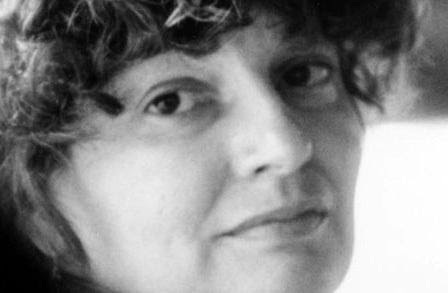 Three days ago, May 23, was the birthday of poet Jane Kenyon. Recalling my love of her poems and her love of the wonderful extravagence of peonies (a love I share), I dug around in my journal, and came up with something I wrote in 2006, in turn remembering back to an earlier entry of 2003. Here is something of a synthesis and some new reflections. One of the pleasures of keeping a journal like this is the frequent experience of a certain kind of felicitous serendipity. (Jung would have called it synchronicity.) I set out this morning to find some old notes about the life and work of the poet Jane Kenyon, having in mind the prospect of a new piece of writing about her gifts. I couldn't find those notes, but instead ran across a journal entry I wrote over three years ago while on a solo kayaking expedition in the Canadian wilderness. Despite its largely waterborne character, I called that journey a walkabout, because it seemed to share with that Australian aboriginal practice a sense of going where one is moved to go, without preconceived itinerary or pace or even conscious direction. In the days of that trip I frequently returned in my journal thoughts to discoveries I was making, or that my travels were reawakening, about the character of walkabout. In one of them, devoted to solitude and companionship, I found myself returning to an earlier reading of a poem by Kenyon. That I could have written those lines today was both reassuring and humbling--the latter because it brought to mind how few original thoughts I appear to have had in a lifetime, the former because those few seem, on the whole, to suffice. Their marination over the years has revealed dimension I'd earlier neglected, and sustained an experience of adventure. That marination continues as I circle back now upon the core themes I am slowly unpacking in these new Reckonings. But I’m coming to understand again in my heart and bones that solitude and aloneness are not the same, that walkabout, like authentic and wholehearted living under any circumstances, is essentially relational. I walk more slowly, over less familiar terrain—but it is the character and quality of my consciousness, my open invitation to linger, the following of tracks I have not laid down, nor even anticipated, that make the difference. Like Thoreau during the time he recounted in Walden, I can return to my own Concord, to friendships and meals and gardens I have tended, and remain on walkabout. Jane Kenyon liked to write poems in the morning and tend her garden in the afternoon. She lived with the excruciating, immobilizing isolation of depression most of her life, knew as deeply as anyone the redemptive walkabout in her garden, especially with her beloved peonies. She said once to Bill Moyers: "It's odd but true that there really is consolation from sad poems, and it's hard to know how that happens. There is the pleasure of the thing itself, the pleasure of the poem, and somehow it works against sadness." I think particularly of her book, Let Evening Come, of her translations of the poems of Anna Akhmatova, and a final book of poems,Otherwise, published shortly before her death. Kenyon "sees this world as a kind of threshold through which we enter God's wonder." Yes, as a threshold, a liminal stepping through into the mystery within and without, our source ground of nourishing loam, the ground of our being, our wilderness and our garden. Kenyon once said of "Let Evening Come," "That poem was given to me." When she was asked, "By?" she answered: "The muse, the Holy Ghost. I had written all the other poems in the book in which it appears, and I knew that it was a very sober book. I felt it needed something redeeming. I went upstairs one day with the purpose of writing something redeeming, which is not the way to write, but this just fell out. I really didn't have to struggle with it." The light of late afternoon, of the darkening evening, is the light of evensong. Light the candle. Draw a blossom near. Listen for the step of homecoming. Move through the threshold into the safety and wonder of home. For those of us, like Jane Kenyon, who know intimately the darkness of depression, it is also the dying of the light. So the incantatory cadences of "Let Evening Come" are a repetitive voice of prayer, attentiveness to the small wondrous indications — the necessary reassurance —that life goes on even with nightfall. The cricket chafes, the woman takes up needles and yarn to knit, the stars and moon appear. Even when the wind dies and the shed darkens, the fox returns to her den and those who wait in welcome. Even those inanimate objects, hoe, bottle, scoop, will warm to another day, find use, meaning. Remember, child, as I sit with you, my hand on your soft back until you sleep — I'll be near you through the night; God does not leave us comfortless. Another day will come, precious as today. It might have been otherwise. As a poet, having faith in what Keats called "the truth of the imagination," Denise Levertov's pilgrimage gradually led her to Christian faith. "I've come to see," she wrote, "certain analogies, and also some interaction, between the journey of art and the journey of faith." Beginning a work of art "resembles moving from intellectual assent to opening the acts of daily life to permeation by religious faith." Among Levertov's last poems is a beautiful story of the "Conversion of Brother Lawrence," a 17th century monk who drew her again into that witnessing presence. your dullest task, and the task was easy. Denise Levertov's "The Fountain" and "Variation on a Theme by Rilke"
Mary Oliver is often enough such an extraordinary gift, as she reflects on our natural world, its various and capacious music, the mysteries of living and dying, our kinship with each other and all others with whom we share this magical world.